On the mountains of Jämtland, a group of cave divers are exploring what now is the longest underwater cave system in Sweden. Work has been going on for seven eventful years in a constant struggle against the elements. 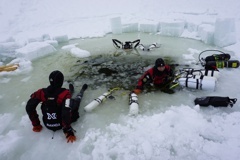 Diving is only possible during winter due to two reasons. There are no roads nearby the cave system, which is located in a national park. Due to the fragile nature of the vegetation, no vehicles with wheels may be used. All transport is done using snowmobiles while the snow coverage is adequate. 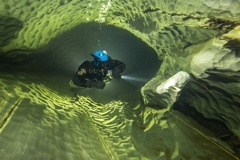 In addition, very strong flow summertime makes it impossible to enter the cave. During the winter months, the conditions are perfect. However, arctic climate makes the expedition a challenge. 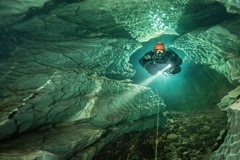 The cave system itself is strictly sidemount and multi-sump. It is not possible to pass the entrance with backmounted gear. The entrance needs to be excavated every year since the summer flow brings out a lot of debris, accumulating at the cave entrance. Water temperatures around 0 degrees Celsius are not uncommon and special precautions need to be taken when it comes to the gear used by the expedition. 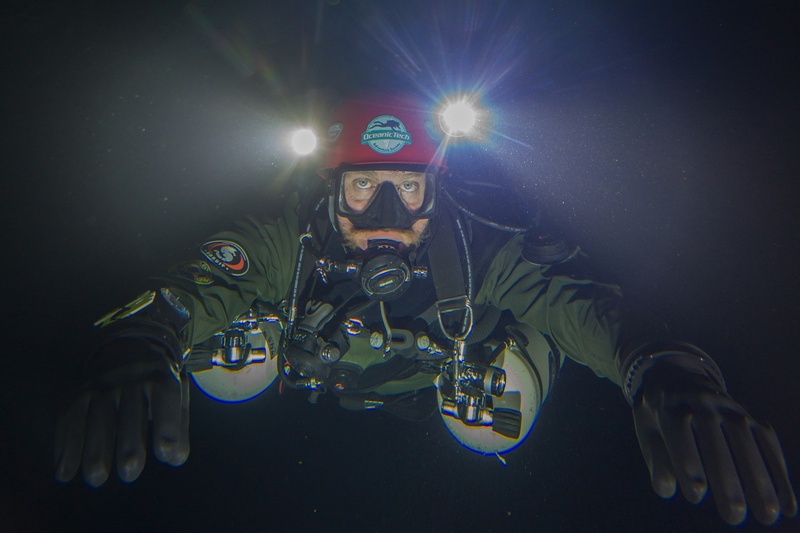 Everything must be simple and robust, but fulfil the needs of divers. 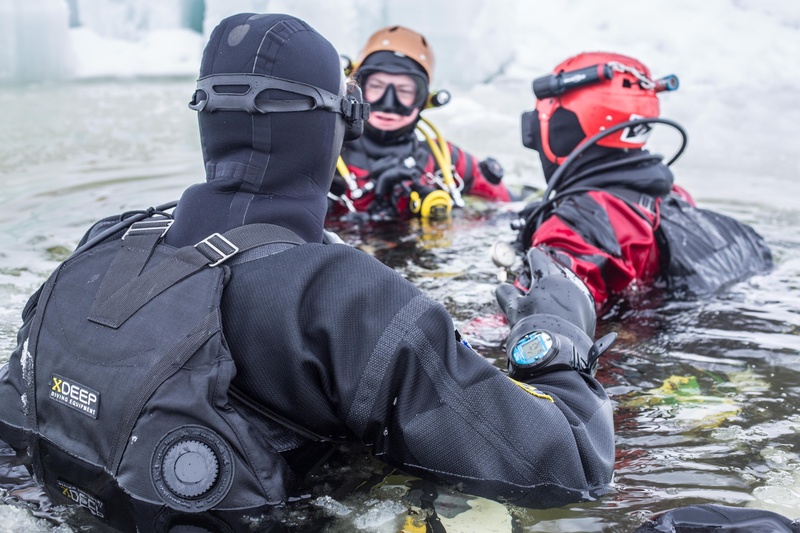 Simplicity and streamlining are required since all diving is done using thick dry mitts, making operation of the gear a struggle. Divers also need to exit the water and carry all the gear over dry passages, since the cave is multi-sump. 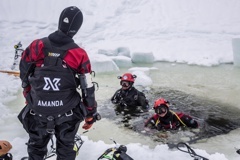 Sometimes, you need to crawl on your stomach in low passages and sometimes climbing is required to reach the next sump. 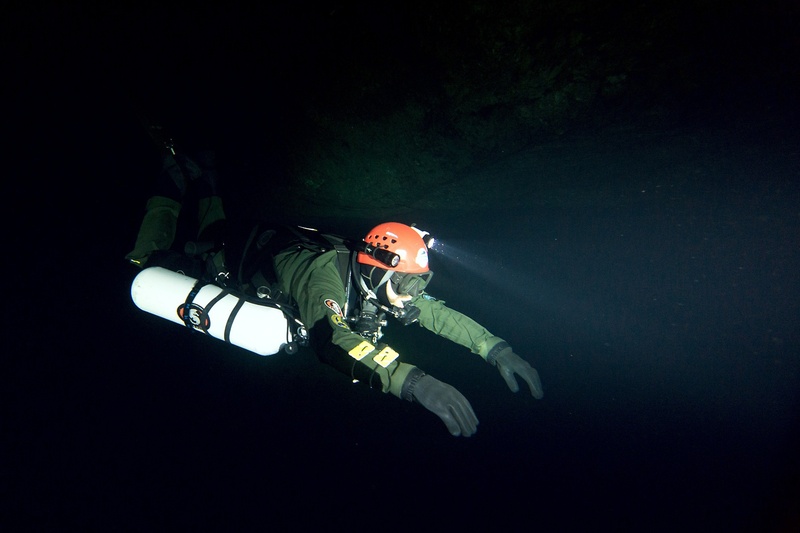 Since all diving is performed using drysuits and thick undergarments, the weighting system is a central part of the sidemount rigs. Weights need to be distributed evenly throughout the rig, incorporated seamlessly into the harnesses. The construction must be robust to tolerate transport in dry passages and simple to withstand the stresses associated with such a transport. 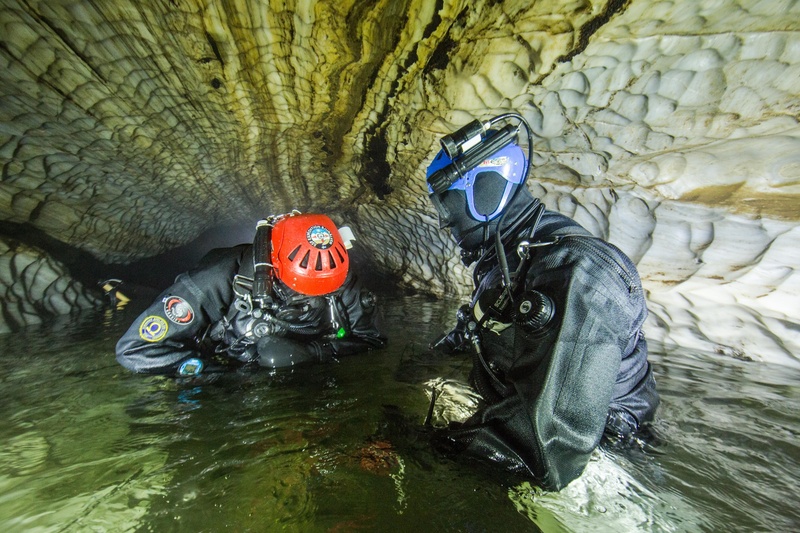 During the 2016-expedition, mapped length of the Bjurälven cave reached 2135 meters. Diving is now conducted in sump 5 and exploration is more and more challenging. To explore the leads at the far end of the Dolinsjö cave, at sump 4 (sump 5 was uncovered during the expedition).